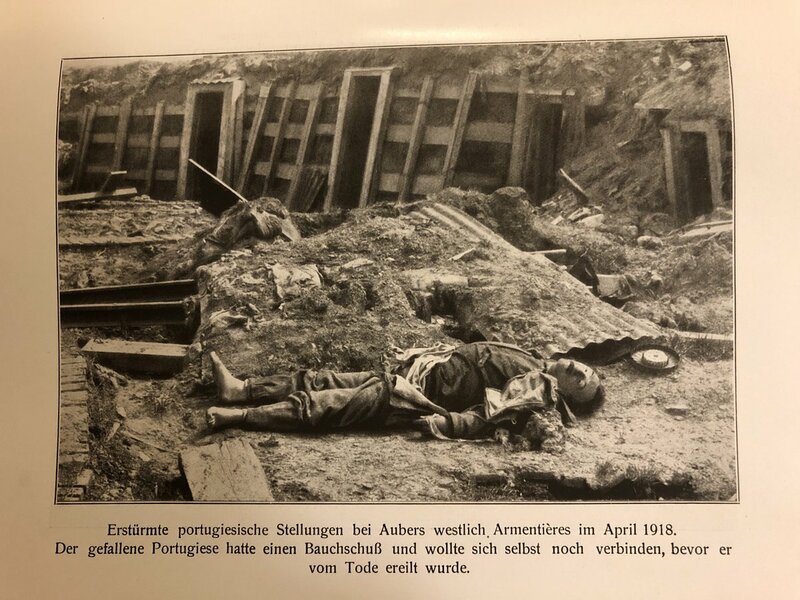 I have a question regarding Portuguese troops on the Western Front. I was advised that the Portuguese troops on the Western Front did not use the Lewis Gun. I have no information on these troops and I have a photo where it states it was a captured Portuguese position and lying near the dead soldier is what appears to be part of a Lewis Gun magazine. Is is it possible that British troops were also in the area or is it possible that Portuguese troops did use this weapon? Any thoughts from the experts out there? They most certainly did. The UK also provided SMLEs for them as well. There is a WW1 display in the military museum at Funechal, Maderia, which has a Lewis gun and the rifles on display and also gives the numbers of the weapons provided by the UK. Thanks Terry, I suspected enough but it is not my area of expertise. Thanks Mike, I suspected that they used this weapon and now with your help, Terry and Taff it is a certainty.